We want to make your purchase as simple and trouble free as is possible. You can help us by reading these notes carefully. They contain important information and are prepared for your benefit. 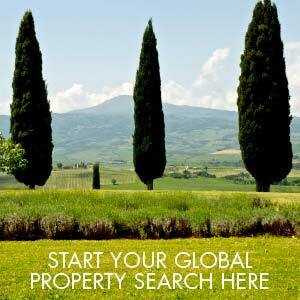 Estate Agency is a relatively new profession in Italy. Until recently there was simply a “negotiator” whose obligations did not stretch much beyond bringing the two parties together and agreeing the price. A fundamental principal, however is that the agent should be impartial. In Italy it is normal practice for an agent to receive commission from both parties as a further means to ensure impartiality. We wish to point this out because it may be different in your home country. We must ensure the safety and legality of the sale for both parties and ensure both get the fairest deal possible. If you feel at all uncomfortable with this do discuss it with us. Our duties are wide ranging and often include work that in other countries would be covered by a Lawyer or Surveyor.? ?In Italy property purchase normally takes place in two stages; the Preliminary Contract of Sale (Preliminare di Compravendita) often referred to as the Compromesso which by law has to be registered in the Public Register - and the Final Contract or Transfer of Deeds (Atto Pubblico di Trasferimento di Proprietà) sometimes referred to as the Rogito or Notarial Deed of Sale. THE NOTAIO (NOTARY):The Notaio is a government appointed official who carries enormous weight in Italy. Most country towns have only one Notaio and the post is obtained by rigorous selection. He officiates at the Final Contract and, in theory, represents neither Vendor nor Purchaser, his duty is to see that all the documentation is in order, that the Sale is legal and properly conducted. He will conduct searches regarding title and any charges on the property and draft the Contract on the basis of the information given. The purchaser is always responsible for the Notaio fees which are based on a % of the value of the property. His fees are not likely to be less than Euro 2,000 and 1-2% of the taxable value is a good rough guideline though as the value of the property rises so the % rate drops. Notarys, lawyers and Geometras can no longer charge by a table of fees but must compete on the open market for their charges. In practice the Notaio can be extremely helpful. If you do not have your own Notaio, we almost always use the same Notaio, he is very aware of the sort of problems encountered by foreigners. For example, although Italians tend to treat a Compromesso very casually and are quite happy to draft it with their agent, many foreigners prefer that it should be drafted by the Notaio and this he is very happy to do, after establishing any special clauses which may need to be inserted. As the Preliminary Contract must be Registered we recommend that it is drawn up by either your lawyer or the Notary, we are always happy to act as interpreter if the Contract is dual language. Estate Agents are held responsible if the contract is not duly registered. In Italy it is not normal practise to instruct a lawyer to represent either party and can be a considerable added expense. However we do appreciate that some of our clients come from countries where it is essential and they feel uncomfortable without having personal legal representation. There may be tax or inheritance issues that require legal advice. If this is the case we are very happy to recommend an English speaking Italian lawyer. If you are a Knight Frank client we recommend you contact their legal Dept. ?As part of our service we will provide a translation of the Compromesso for our clients and naturally go through it all prior to signing so everything is perfectly clear. In certain cases it may be very difficult for our clients to be present at the signing of the Compromesso in this case we can take special Power of Attorney (procura speciale) and sign on their behalf or it can be arranged through a lawyer of your choice. The Geometra can also play an important role in the purchase of a property. An Italian Geometra has no exact equivalent in England; somewhere between an architect and a surveyor, he also performs many of the services that an English Lawyer would perform. An English structural survey is not normal practice in Italy, however it may be important to ascertain that a concession or authorisation can be obtained for any conversion or restoration work required on a property or at least to have an estimate of restoration costs. He may be required to prepare plans to subdivide a parcel of land or present the necessary plans and survey to change the status of a property from rural to urban. In the case of a restored property, it is essential to ascertain that all the relevant concessions and permits have been obtained for the work previously carried out. Any modifications which have been completed without the relevant permission may have to be undone if they contravene building regulations and will certainly carry a heavy fine apart from any expense incurred in instructing a geometra to resolve the situation. The importance of this safeguard is therefore obvious. Tuscany, as a region, has the most stringent building regulations and controls in Italy. Much of the countryside is considered of "particular beauty" which can add restrictions if your property is situated within a designated area and many of the medieval towns and buildings are considered of "particular artistic and architectural merit" which again impose certain restrictions particularly to the outside of a building. We should add, however, that if Tuscany remains unspoilt it is largely due to the interest taken by the authorities in its heritage. Unfortunately the time needed to reach a decision is frustratingly slow due to a very top heavy and inefficient bureaucracy rather than unwillingness on the part of the officials concerned. Regulations brought in in 2010 require that the property matches exactly the plans that are lodged in the Building Register (Catasto Fabbricati). The registered plans will be attached to your Title Deeds and it is now a criminal offence for a Vendor to sign off plans that do not correspond exactly. We can recommend a Geometra who can take care of all this work for our clients. He can also prepare all the plans for restoration, prepare estimates for the builders and present all necessary documentation to the Comune. Permission usually takes up to 4-6 months. Whilst the geometra will oversee all the technical side of the restoration, we can undertake to replace our clients as project managers and oversee the work on a day to day basis, we will translate all the estimates, visit the site almost daily, send weekly reports of the progress and generally take care of everything as if it was our own property. For this service we charge a fee of approximately 10% of the restoration costs.Restoration can seem a daunting prospect to oversees clients however our builders are true craftsmen who have a genuine understanding of old properties and take an enormous pride in their work. We are equally proud of their standard of workmanship, their enthusiasm and helpfulness. Clients are very welcome to inspect previous restorations that they have carried out for us. Is a private, legally binding, Contract between the Vendor and the Purchaser (or representative of the Purchaser) in which the Vendor is bound and obliged to sell to the Purchaser (or his representative) who is bound and obliged to purchase the property for an agreed sum at a future date which is specified. a) “Caparra Confirmatoria” or binding deposit which binds both parties to complete. The Vendor cannot withdraw from the sale unless with the express agreement of the Purchaser who will have the right to claim, not only the return of double his deposit but damages. The purchaser however has the right to insist on the purchase going through and if for any reason this is not legally possible can claim damages. If for any reason the purchaser decides not to complete he will lose his deposit and the Vendor is entitled to damages. This is the form normally used. b) “Caparra Penitenziale” by which either side can withdraw on payment of a penalty. Balance of payment is required at the signing of the Final Contract. - A clause in the Compromesso will contain the final date for completion and this is legally binding. Before signing any Compromesso it is therefore imperative that the purchaser is not only certain of his choice of property but also sure that his finances are in order to meet the completion date. - The Vendor must guarantee ownership of the property and that it is free from any charges etc. He must be prepared to produce, at his expense, any documents required by the Notary for completion, this will include a report drawn up by their Geometra, listing all permits, any defects or documentation that needs updating or changing. - There should be a complete description of the property, listing its location, Commune (Local council), on which Sheet No. it is found and a list of the Particelle (Land Parcel nos.). These are all shown on a Cadastral (Land or Building Registry) map and can be verified in the Cadastral Office. The Register which was set up with fiscal purposes in mind holds the records of all properties with details of ownership, classification of the buildings and land and sets the "rendita catastale" (unearned income value) which, adding 5% and multiplied by 160 to take account of the latest revaluation, gives the registered taxable value of buildings, akin to rateable value of the property. - Ownership however cannot be guaranteed from these searches in the Catasto but rather in the Conservatoria dei Registri Immobiliari (Public Registry of Property Deeds), now incorporated into the Inland Revenue offices where it can also be ascertained if there is a mortgage or any other charges on the property. Normally the Notary will conduct this search, however we also conduct searches when we market any new property. - The money laundering Act requires all Estate agents to keep a very detailed record of all transactions, including all the movements of funds, their origin, and the form they took. There are extremely heavy penalties for not maintaining the records correctly. a) Buildings for residential use carry a total of 9% Registration Tax reduced in 2014 from a total of 10% (Fixed charges Cadastral and Transcription varying between €200 to €50 a reduction from the total of 3%) on the updated Registry Office value (Catasto) on purchase. b) Those farmhouses which have remained rural should be brought into the building register before completion unless the purchaser is intending to run an agricultural activity and the property has the required characteristics. c) Main residence or "Prima Casa" and listed buildings carry a reduced Purchase tax of 2% plus fixed Cadastral and Transcription charges of €50 on the updated Registry Office value (Catasto). e) Purchase tax on agricultural land is set at a total of 12% on the value given for tax purposes in the Sale Contract. There are certain grants and tax assistance given to particular categories of Purchasers. The Laws concerning each of these are quite specific and too complex to cover in these notes however it is worth mentioning one in particular which we feel has a fairly wide application and can save the Purchaser considerable amounts of money; this is the reduction in Registration Tax granted on "Prima Casa" or main residence. It reduces the Registration Tax to 2%. As the Law stands now, the purchaser must obtain residency in the Commune where the property is situated within eighteen months of the purchase date and intend to live in the property as main residence, also the property must not be classified as a "deluxe" property. The classification is quite rigid and if your property is large and has a pool it is almost certainly "deluxe". Unless you are seriously intending to live in Italy it is not advisable to consider applying for residency simply to obtain the tax break, particularly since the regulations require foreigners who are resident or spend more than 6 months in the year in Italy to declare and pay tax on their worldwide income. - Included will also be a list of bordering proprietors. All properties in Italy are sold freehold so, in the case of an apartment, this can be important since there will be shared space and responsibilities to ascertain. It is also extremely important in the case of a rural property or a property that has surrounding agricultural land to ascertain the bordering proprietors since a "coltivatore diretto" (farmer who earns his living by farming) has an automatic "prelazione" (pre-emption right) to purchase agricultural land at the price declared on the Contract of Purchase and Sale. By Law they must be notified of the intended sale (usually by means of a copy of the Preliminary Contract of Sale) indicating the price of the sale. They have 30 days in which to reply to the notification and take up their option. If they are not properly notified or do not waiver their right they can make a claim on the property for up to one year after the sale. In the case of an Urban property this can be calculated using the "rendita catastale" which has been given to the property. By adding 5% to the "rendita catastale" and then multiplying by 160 to take account of the latest revaluation, gives the registered taxable value of buildings, akin to rateable value of the property. In the case of a rural property the building will not have a "rendita catastale"; the income is assumed to come from the land and therefore there is no basis on which to calculate. The authorities have the right to conduct their own valuation and may do this for up to five years after the sale. In January 1997, 2004 and 2012 all properties were revalued and given a new "rendita catastale", in most instances this has doubled bringing many properties above the lower threshold and into the net of the annual income tax. There is also an annual property tax, IMU and a refuse tax called TARI. IMU is not charged on a main residence as from 2016 ( but this may change again) but instead there is a service charge added to the TARI. We are very happy to make arrangements for this for our clients through our Geometra and Accountant (Commercialista). At present there are no Italian capital gains on resale but a speculation tax is imposed on income if the property is sold within five years of purchase. a. A passport showing full name, date and place of birth, citizenship, date of issue and expiry. Recently we have found that the tax office that issues tax codes require the name on the passport as they have now decided to use this as the only identification document and therefore that name will be used on all documents but the Notaries do not like it as women retain their maiden names after marriage in Italy and if you are using an ex husband’s surname and then remarry you will throw the whole system into tilt!. b. Current address, we also require proof of your address with a service bill or Bank statement for money laundering regulations. The deposit required at the Compromesso is normally 10-30% of the full price it can either be paid directly to the owner or deposited with the Notary until completion. It is sometimes possible to negotiate with the Vendor but much depends on the interval between Compromesso and Contract and individual circumstances. It will be necessary to open an external Euro account in Italy. The Monte dei Paschi di Siena have branches throughout Italy and a branch in London and New York. N.B. Even with the Swift facility and electronic transfer you must allow AT LEAST TEN DAYS FOR THE TRANSFER OF FUNDS. If you choose a branch without a Swift facility funds have been known to take up to six weeks to arrive. Please do not be taken in by reassurances that your funds will arrive in 24 hours to your local Bank in Italy, they will not. Non arrival of funds is the single greatest cause of complications arising with a purchase. It is not acceptable as a valid reason for not meeting a Contract date so please be warned. Vendors become understandably jittery and unreliable when an agreement is made, the purchaser disappears abroad and no funds arrive to secure the Preliminary Contract. As an alternative to the above your own Bank can arrange a Euro Bank Draft in favour of the Vendor, or deposit it with the Notary, this is perfectly permissible since exchange controls were abolished. The period between the Compromesso and final contract is negotiated through us between Vendor and Purchaser. One to three months is normal and it may take up to three months to prepare all the paperwork, however it should be pointed out that Vendors do like to complete within a reasonable time. Possession of the property takes place on the signing of the Contract of Purchase and Sale, unless specifically agreed otherwise by the parties. The transfer of ownership must be registered in the appropriate Registration Office within 20 days of the Contract. It is part of the Notary’s official duty to see that this is carried out so he makes the arrangements. Please do not be worried if you come away from the sale with nothing in your hands, you will be given a copy of the Contract and its registration as soon as this has been completed. This normally take approximately one month. Italian law requires, understandably, that the participants understand what they are signing. If your Italian is not fluent it will be necessary to conduct a dual language Contract. This requires three witnesses one of whom must be bi-lingual and one of whom must act as Interpreter and write the English version beside the original Italian. We can take care of this service, if it is needed, we will find the witnesses and Diana Levins Moore can act as Interpreter. In this case there will be an extra charge since it involves a considerable amount of extra work and the professional witnesses have to be paid. Alternatively, it is possible, under certain circumstances to have a Private Contract authenticated by the Notary, this will only be in Italian but we do provide an informal translation. The Notary prepares a draft in Italian having already agreed all the clauses. These follow an elaborated version of the Compromesso. The property must be guaranteed from charges, liens etc., it must be certified that it conforms to all the building regulations with the relevant documentation to back this up. It is also an obligation to have certificates for the wiring, plumbing and central heating, demonstrating that they are in perfect regulation and an Energy Certificate. The Purchaser must pay his registration tax directly to the Notary who is responsible to see that it is paid to the relevant authorities. Codice Fiscale (Tax Code No.) This is essential and no Contract can be signed without it. It is made up of a series of letters and nos. which relate to your name, date and place of birth etc. It is obtained from the "Agenzia delle Entrate" (in Montepulciano if the property is in our area). If it is difficult to obtain we can make arrangements to obtain it for our clients, provided we have been given photocopies of the documents mentioned above and an authorisation to obtain it. Each person signing the Contract of Sale will need one also, in certain circumstances the partner of the purchaser. It is an important document and should be kept safely as it will be needed when signing any contract ie: gas, electricity, phone, opening Bank account etc. We appreciate that your time is very precious, however buying a house is a major step and allowing 48 hours is not enough. It is not unheard of to discover that there is a two day Bank strike and it can be very frustrating to have to postpone or cancel for the lack of a couple of extra days. b. Registration Tax. or Vat. whichever is applicable. Payable at the signing of the Final Contract. The Notaio will accept one Euro cheque for his fee and the Tax. Discussed above. d. Our Commission, We charge the standard rate applicable in the Province of Siena which is currently 3% + 22% Vat. to the purchaser, under the Civil Code this is payable at the signing of the Preliminary Contract though we usually ask our foreign clients for 50% of our fee at the Preliminary and 50% at completion. We do hope these notes have been helpful and would only add one more cautionary note. All Italian Estate Agents require a licence to practice, it is a personal licence issued by the Chamber of Commerce and granted only to those who have proved their knowledge (usually by examination) in all material relevant to property purchase, sale, rental etc. Unfortunately there are many Agents still practising without a licence, (it is a fact of Italian life that evasion in many forms from taxes to business practice continues almost unchecked) this is both illegal and dangerous both for Vendor and purchaser since the majority do not have the required knowledge to ensure the safety of entering into a contract. The importance of complete trust between client and their agent is even more evident when the client is a foreigner, may not speak the language and has very little knowledge of Italian law or building regulations. Please feel free to use whichever agent finds you the right property and with whom you have built up a relationship of trust but protect yourself by simply asking at the beginning of your relationship if the Agent is licensed. He or she may also be an associate of F.I.A.I.P. (The Italian Federation of Professional Real Estate Agents) who naturally only accept licensed agents as members and give the client added recourse since those of us who are members are obliged to adhere to a code of practice. A genuine Agent will not be insulted, on the contrary, it is entirely in our interests to see that the image of our profession is improved and this simple safeguard can go a long way in helping you to avoid one of the major pitfalls in purchasing a property in Italy. The Legislative Decree 196/2003 (Data Protection Act) hereafter “Act” recently updated by the European Act 2016/679 (GDPR) provides protection of personal information of persons and entities. Your personal details will be used in compliance with existing regulations, exclusively for managerial and administrative purposes, in compliance with the terms of our agreement and only to carry out essential work to complete any agreement between us, thereby excluding any other use and/or conflict with that of the interested person. To better place your property on the market/to carry out better research for you regarding the property you have requested, your personal information and that relative to your property may be published/communicated to other collaborating estate agents or published in estate agents data banks. We will treat your information in a correct, legal and transparent manner protecting your privacy and your details will be conserved both on computer and traditional archives. Both your data and your consent must be freely given however your refusal would make it impossible for us to carry out our contractual obligations or fulfil our duties to you and would render the management of our relationship impossible. Tuscany Inside Out represented by Licensed Italian Estate Agent Diana Levins Moore is responsible for your data protection. She has prepared a DPS, a document outlining the security measures adopted for the protection of information. With regard to Art. 7 of the D.Lgs.196/03 you may ask to look at modify, update, correct or refuse the use of your data at any time as well as exercising all the rights that the law allows you by writing to the person responsible for your data. Lastly we wish to inform you that the necessary and pertinent information and documentation regarding the agreements between us will be conserved exclusively for administration purposes on computer and in traditional archives. We have taken every care to ensure that the information contained in this leaflet is correct at the time of printing, however Diana Levins Moore acting for whatever agency cannot accept any responsibility for the information supplied.